One vital detail in preparing for a wedding is the matter of the rings. 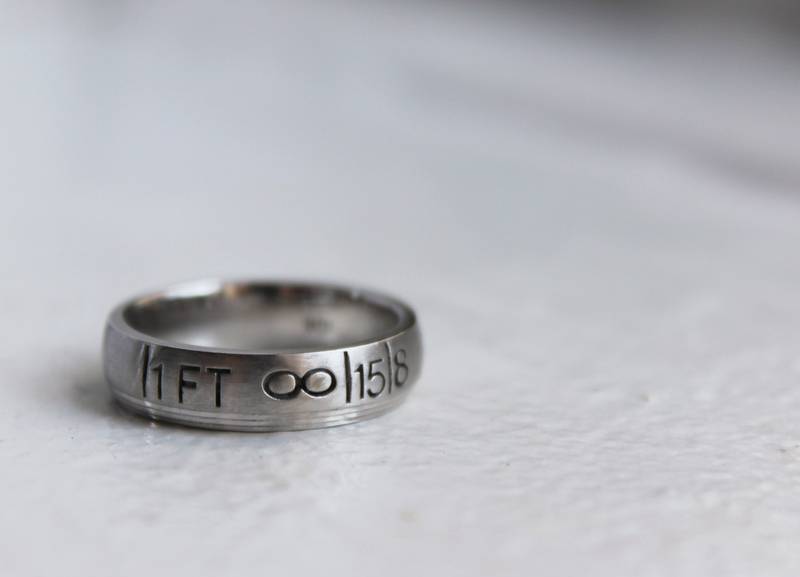 My wife had her wedding band picked out since we got engaged, as it’s sort of a partner ring to the engagement ring. I, on the other hand, know very little about jewelry and hadn’t given much thought to what my wedding band would look like. Then I started talking to a friend in the photographic community, Ben High, who spends his days as a jeweler. He had designed a really spectacular Polaroid SX-70 pendant, which got us to talking about an idea for a wedding band that captured the SX-70 essence as well. 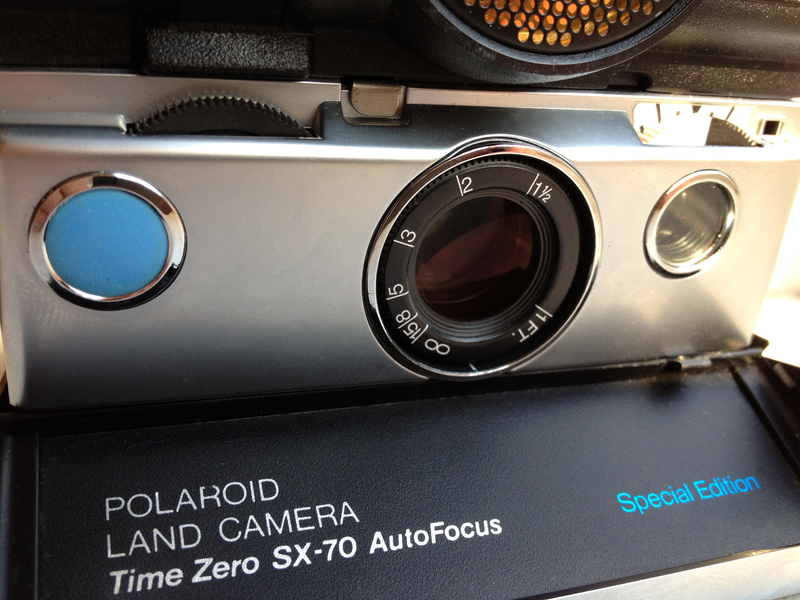 The idea was that the ring would replicate the focus scale around the lens of an SX-70, pictured below. Being an instant film geek, this got me really excited. My wife and I gave Ben my size and the basic design idea. Ben then created a 3D computer rendering of the design, which we approved, and he went to work making wax casts for me to test out. We went through various sizes and widths until we found just the right one. I’ve been eager to share this but wanted to wait until after my instant film wedding photos post went live. « Reid and Jackie Got Married. You are currently reading SX-70 Wedding Band. at patrick f. tobin • photography blog.